For years, pocket knives have been part of the tools that are sought after by people to deliver different cutting needs that may come along. Since these tools have come to be existing for the longest time there were many variations sprouting which is all inclined to bring an even greater experience towards its use. 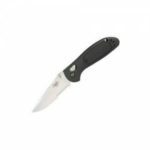 Linked with the innovations are the noted brands behind each useful pocket knife. 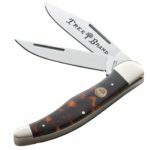 When you are faced with the question, what are the best pocket knife brand, the following are those on the list. Among the pocket knives coming out of the market, Gerber Knives are probably the ones that are long been standing. It has even made history as it comes to be installed in the year 1939 by Joseph Gerber. 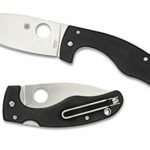 At first, the company did not come up intentionally to sell pocket knives as the owner originally has an advertising family business. Yet, it is Gerber’s hobby of sending out knives that he made himself to their clients. Later on, clients were coming to order knives because of the exquisite quality of the ones sent to them which have pushed the owner to establish his own brand of tools. Luckily, that incident had brought him to success as their brand is considered to be the leading seller of multi-tools in the United States. In fact, some notable pocket knife brands rooted from this company. Their designers and workers have put their name in the spotlight too with their own brands. Kershaw is also one on the top list. Its owner is one of the workers of the Gerber Company but had made own history by establishing a company in the year 1974. Surely, Gerber taught Kershaw well as the company stood for long too. There were even innumerable awards achieved by the brand which is a proven fact that it has something to say about the knife business as well. It has made its name by manufacturing knives for kitchens and even sports knives. Case is one brand to watch out for too. Each of its knives is carefully handcrafted in its factory in the US and sold nationwide in special cutlery shops and home depots. This is the most exclusive version of pocket knives. This is so because this brand is a premium collectible brand. They are selling exclusive knives that are increasing in value as time goes by. Just like glass wares, knives are collectible items too. So if you are a collector, this brand is what you should be looking for. If you are looking for some manly and handy pocket knife for your camping and outdoor activity needs, Ka-bar is the brand for you. 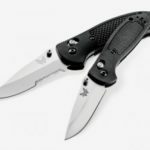 Unlike the brands mentioned, this brand specifically specializes in combat knives. It adapts the contemporary design through adapting its popular leather handle. This handle is non-slipping which means that it can be used with ease no matter what the condition is. 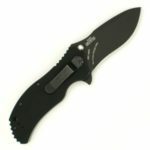 As tough as it goes, this brand supplies knives for the US marines and is known for their fighting utility knives. 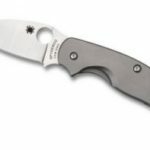 There are still a lot of brands to discover like Spyderco but the ones mentioned are considered to be advanced in the lines of brands pooling in the market. As you may well see, pocket knives have different faces too brought by the different brands having their own specialties in designing tools. This would even leave the search for such special tools rather confusing. But, if you have the knowledge of the ones considered best, your choices are cut off to the ones you should first consider bringing your pocket knife experience to a success. Looking for German pocket knife?